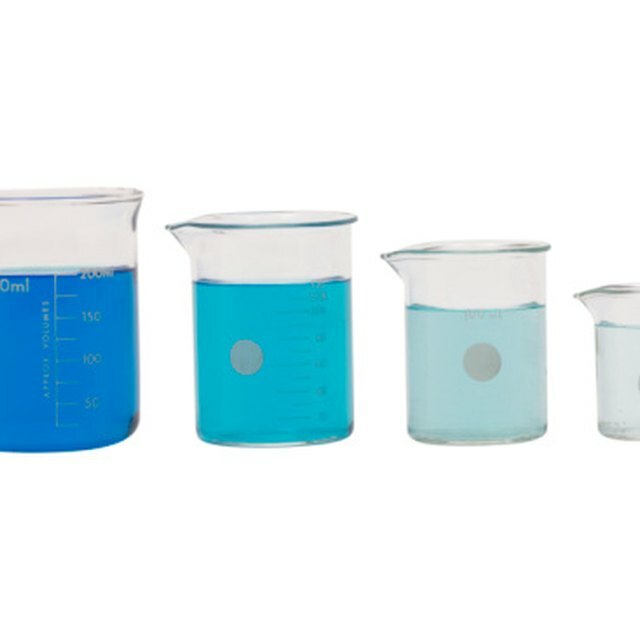 Calculating the initial concentration of a solution – otherwise known as molarity – is an important process commonly found in the chemical and biochemical world. Molarity is the number of moles of solute per liter of solution. Therefore, you need to determine how many moles of a solute are in the solution and the total volume of the solution. mol NaOH = 20.0g NaOH x 1 mol NaOH/40.0 g NaOH. 500 mL x 1L/1000mL = 0.500 L solvent. M = 0.50 mol NaOH/0.500 L solvent = 1 M NaOH. In this example, the molarity (M) of the NaOH in the solvent is one mole. As more of the solvent is removed, the concentration of the NaOH would continue to rise. With acids and bases, the higher the concentration, the stronger it becomes. Keep track of your units so that you can make a clean conversion to moles and the liters of the solvent. Not keeping track of units can make it difficult when dealing with conversions from very small amounts to moles. Writer, Contributing. "How to Calculate Initial Concentrations." Sciencing, https://sciencing.com/calculate-initial-concentrations-5990855.html. 13 March 2018.